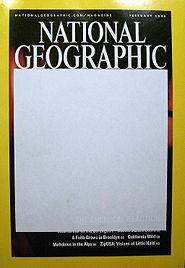 This February 2006 issue of National Geographic was censored in Iran. Why? The cover story was about love and the cover photo showed two people embracing. In Iran, public displays of affection are considered offensive.